i know you say you will 'bore us' i actually think more people should share what they have been up to! and pictures are always great! its kinda like we were on holiday with you! On a cruise, we could have been. Actually, this being the anonymous internet, i wonder how many of us have been yay close to other iblers, or even spoken to them, and never noticed. Mr. L!! Hey! It's me! Rocket! Yah, long time no see, hey listen, I'm kinda stuck in jail just across the sea here in Ireland. I haven't succeeded in seducing the guard yet so umm, could you GET ME OUTA HERE!?!?!??!? *hands time machine* will this help at all? Low, and the possibility of her being sexually attractive are even less. I am reasonably confident that me and gmj have both been in Lincoln at the same time. Lincoln ? As in the suburb of Ephrata ? Muahahahaha! Goodhart is always walking around walmart. Like, always. I STILL say I saw Jean Reno in a WV walmart on a trip a couple months ago. Seriously. It was him! That I am, my Texan friend. Indeed, PKM passed through my little town a shy while ago, visiting some friends in sheffield! I'm heading North-West tomorrow (mainly via the A17, A1 & A66), then back again after Christmas. I'll wave as I go past... rats, I've forgotten where. haha, ill be sure to wave back. What is the swirly twirly thing in the last picture? It is a chihuly blown glass sculpture. Rats, I can't work out what the birds are - were they wild, or in the butterfly enclosure? In the enclosure, except the chicken, key west is famous for it's free roaming chicken population. Dude! Why didn't you make a slideshow out of this? Or even better, an I'bleKiteman's Zeroth Law? Sounds like fun! Any pictures of the gin bottle? Here it is. 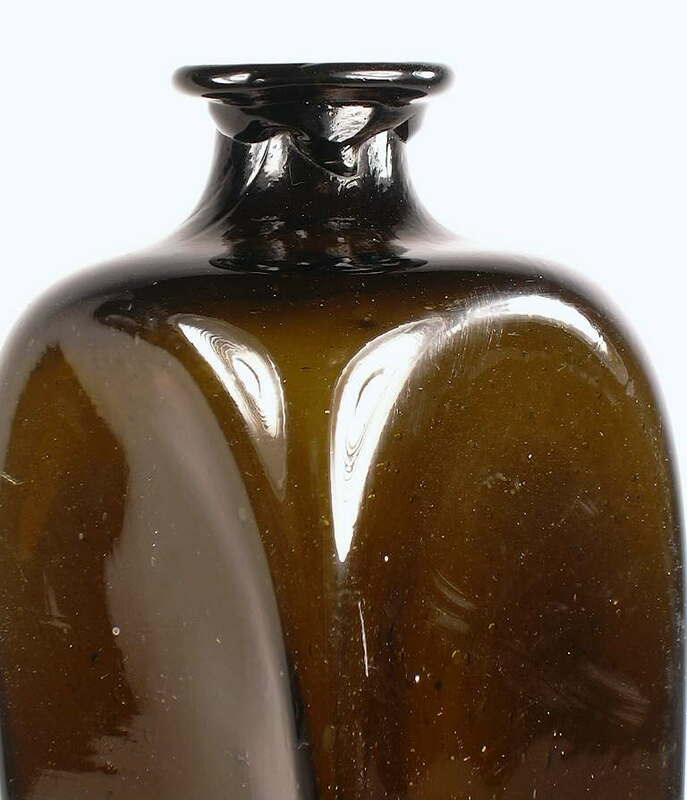 They were still on the camera, you can see the remarkable similarity to this bottle that is dated mid 19th century. I've always been curious about cruises, honestly. I love boating, but I don't know that I love boating with a ton of other people. :P And I love the Fairchild Tropical Gardens! Jace & I went there last time we visited his family in Miami and it was so beautiful. That was kind of how I felt, and although there may have been as many as 2700 people on board (based on 18 lifeboats at 150/lifeboat), it only felt crowded once, and that was when we hit the buffet right when it opened, and then we just took our food out to the pool deck where we were practically alone. Admittedly my wife and I never made use of the disco or gym, so we can't comment on that. I am rather thirsty.. Sounds like it was a 'meh' cruise, most people I know have the same kind of trip.. What kind of tree is that in the second to last pic? It's an Albizia niopoides, a member of the Fabacea (the bean family), tropical, softwood with low cold tolerance. Interestingly, like most members of the Fabacea it is nitrogen fixing, meaning it actually increases soil fertility. *reads intro and days1-2* Erm.. Nice pictures!! Wow! I deserve a drink! Sounds like lots of fun. Shame the fishing was cancelled. We went on a cruise years ago. Took the kids, so no real wildness. You've almost inspired me to do it again. Maybe for the 20th anniversary. So did you book a windowless cabin right next to the droning engine room? No underwater photography? Sounds like you had a good time.